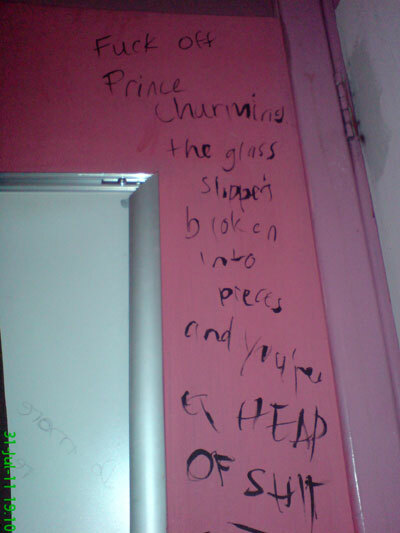 I was totally amused by this profound statement written in the toilets at The Cluny. 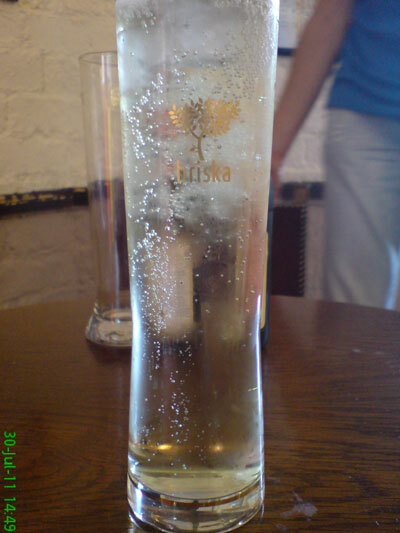 I'm not usually a lover of pear cider, but this is amazing. 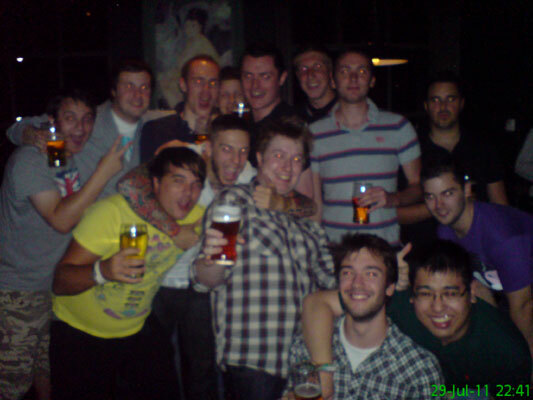 A drunken night in the Town Wall. And a lot of red eyes. 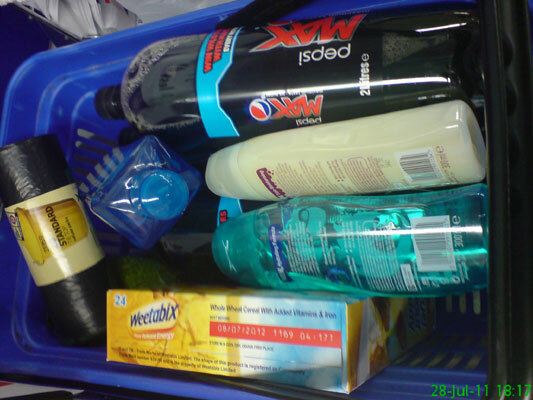 I went to the shop to buy a few things.. which always seems to result in a full basket. 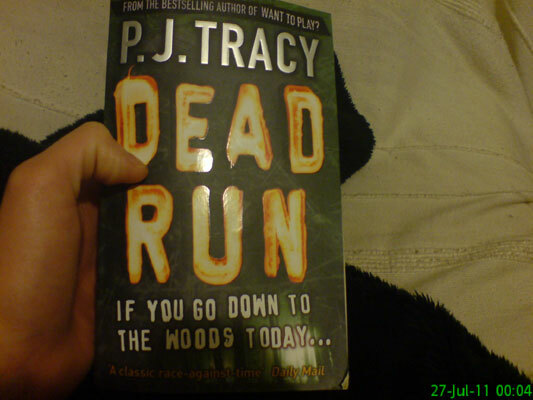 I couldn't sleep so picked up this to read for a bit. It's not very good. 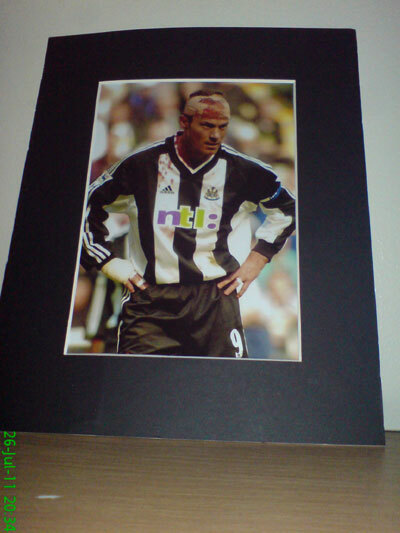 A picture of Alan Shearer from my dad's favourite sports memorabilia shop. 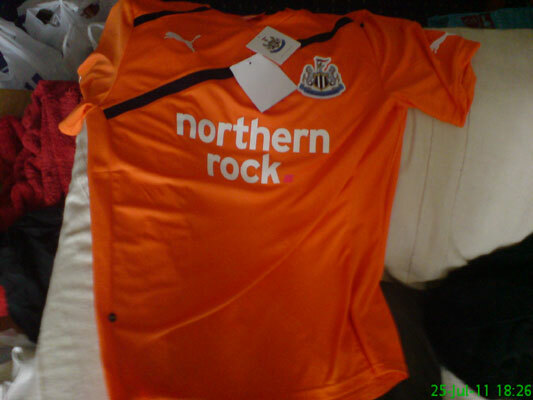 I caved and bought the new Newcastle away shirt. 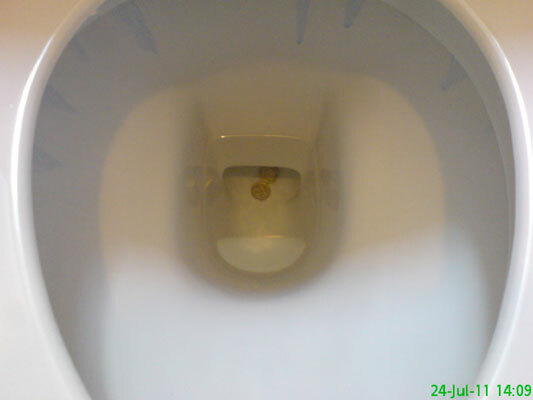 Two pound coins in the toilet at the Newton. 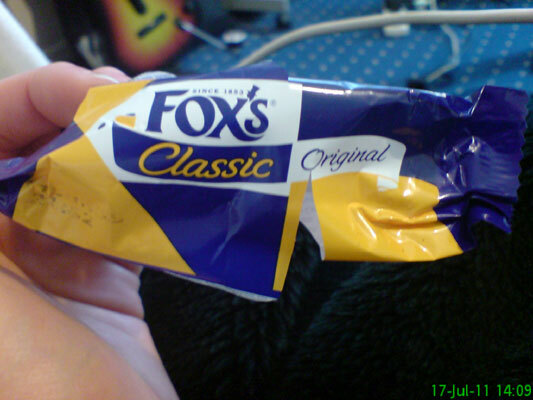 I wasn't skint enough to fish them out. 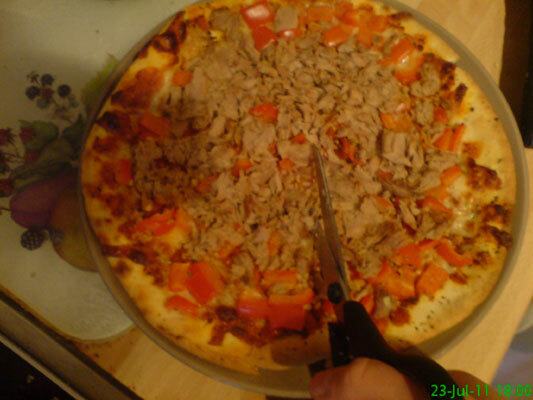 I will never understand people who don't use scissors to cut pizza. It's the best way! 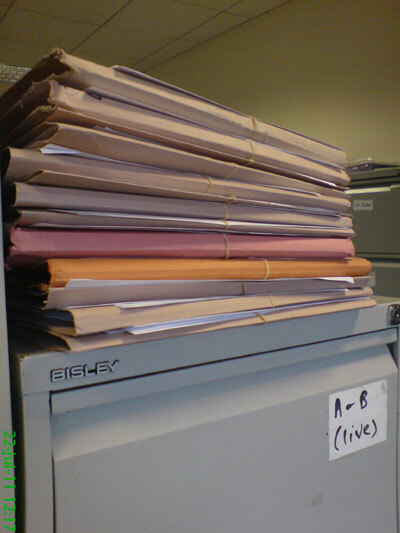 No chance of 'Feet Up Friday' today then. No, not an episode of CSI. A new bottle of ketchup exploded all over my plate, t-shirt and the cushion I was balancing the plate on. Nightmare. 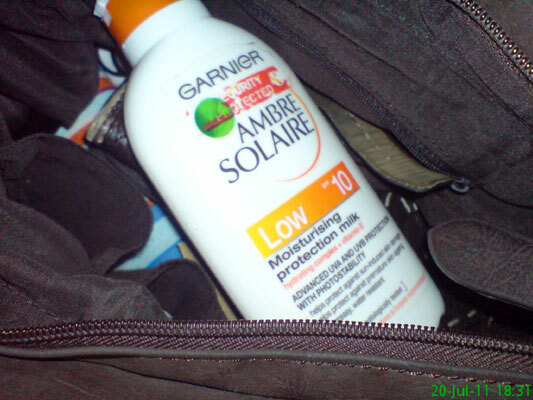 All it seems to have done is rain lately so this sun cream can probably come out of my bag. 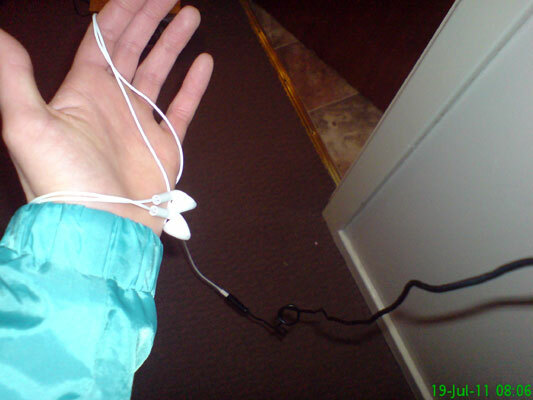 I decided to listen to the radio at the gym this morning and had to connect my headphones to the connector for my phone which resulted in an excessively long wire. Can't beat a cheesy film on a Monday evening: The Sisterhood of the Traveling Pants. 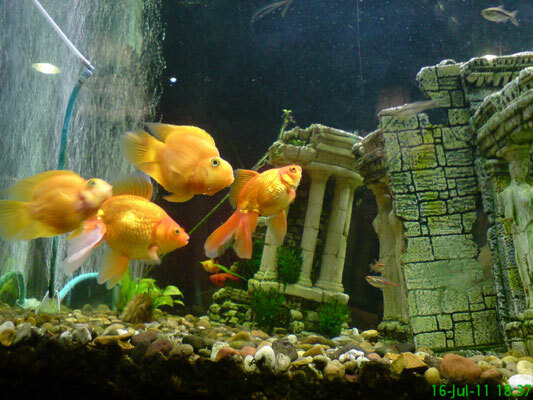 Some fish in The Priory Pub in Tynemouth. 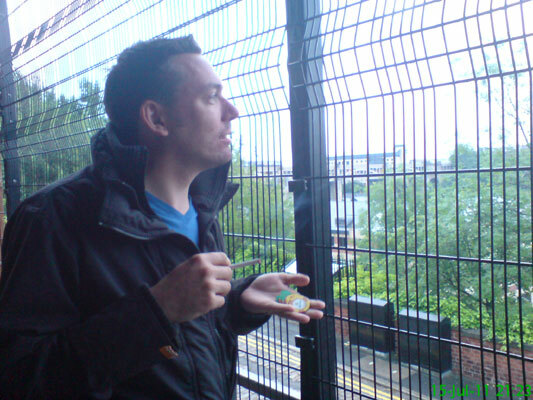 Stu counts his winnings and enjoys the view from the Circus Casino smoking area. 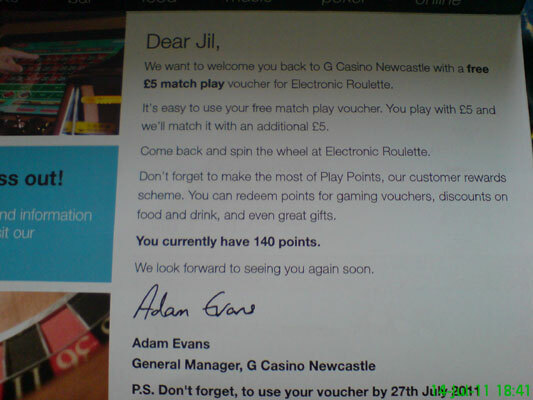 A free bet to entice me back to the Grosvenor Casino. 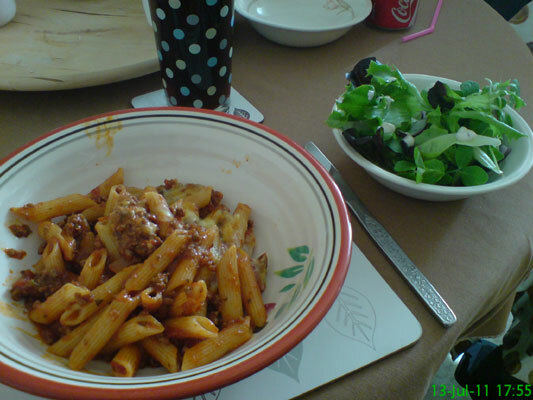 If only they would spell my name right..
My mam cooked a delicious bolognese. 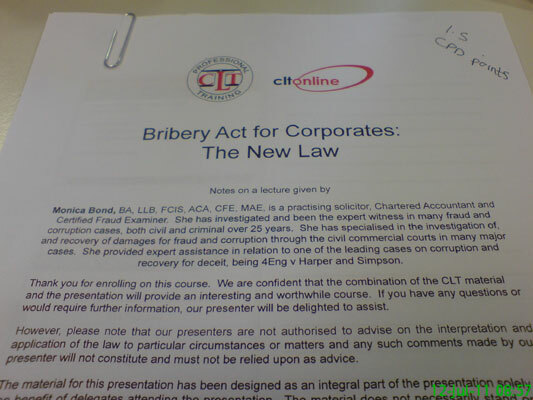 I had to watch a webinar to learn about the Bribery Act. It was an hour of my life that I will never get back. 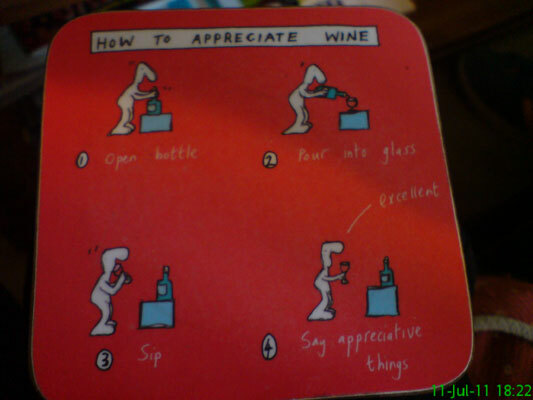 A very appropriate coaster at my dad's. 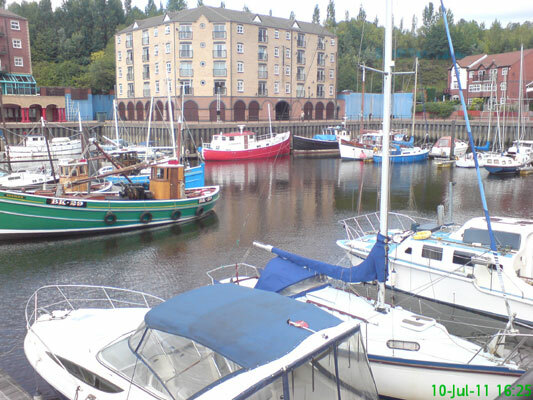 Went for a walk along the Quayside and stopped to have a look at the boats in the marina. 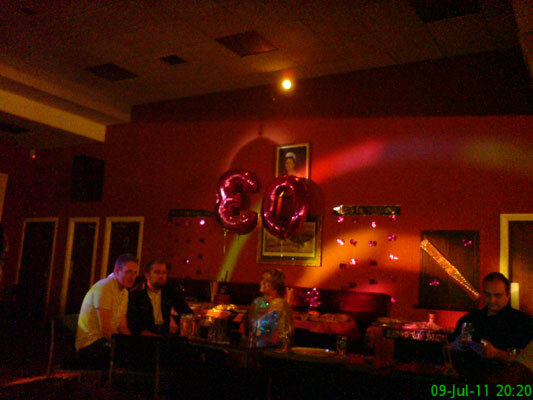 I went to a party to celebrate Carolyn's 30th E0th party. 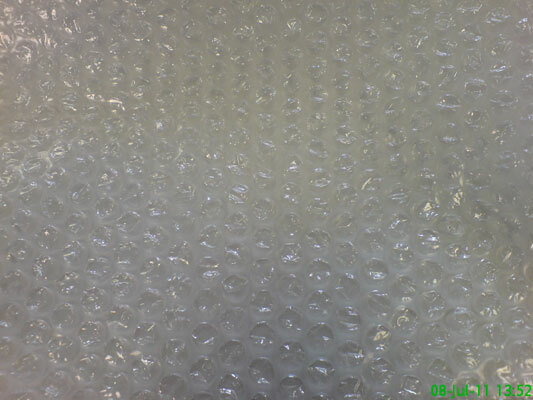 This is why Jen and I like Nicola so much: she donates us bubble wrap to get us through a Friday. 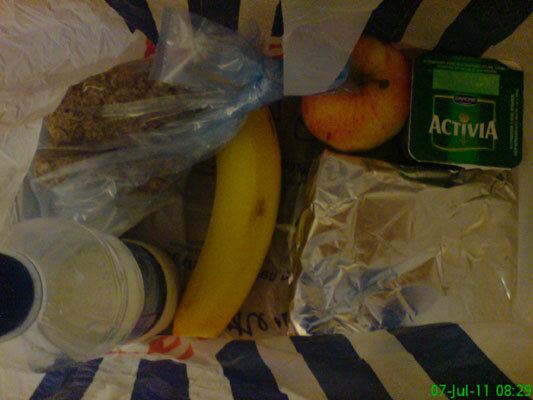 Today's meals to take to work. Breakfast: 2 Weetabix (in the blue bag) & milk (in the bottle, unsurprisingly). I eat my breakfast at work on Thursdays because I get weighed on the way there. Lunch: Ham & cucumber sandwich on wholemeal bread (in the foil) & a peach Activia yoghurt. Snacks: Apple & banana. Highly exciting stuff, no? 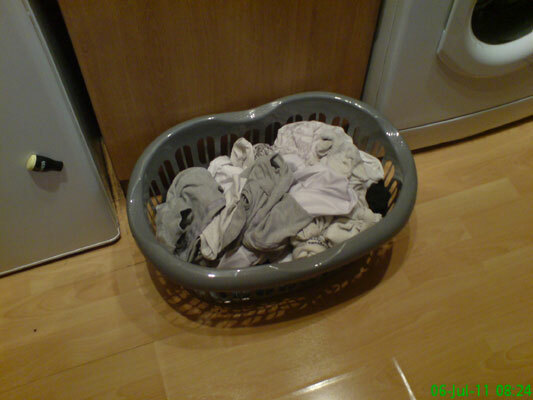 After years of just using a random box, we finally own a washing basket. 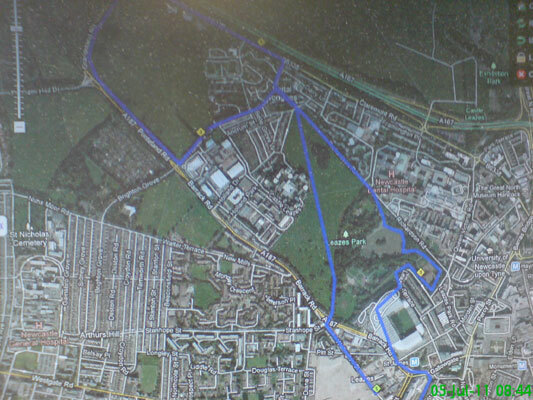 A map of my run today, which was around 3.6 miles. 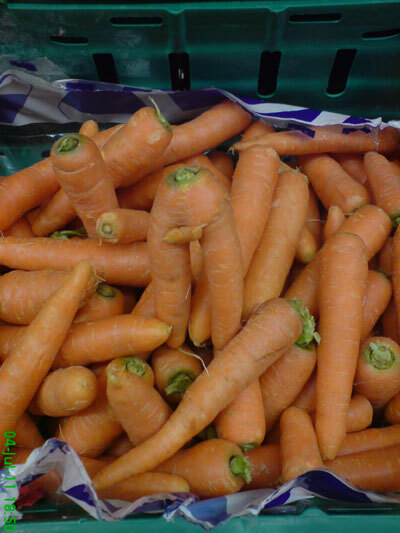 This carrot in Tesco reminded me of the bottom half of a man. Another Sunday, another train trip. 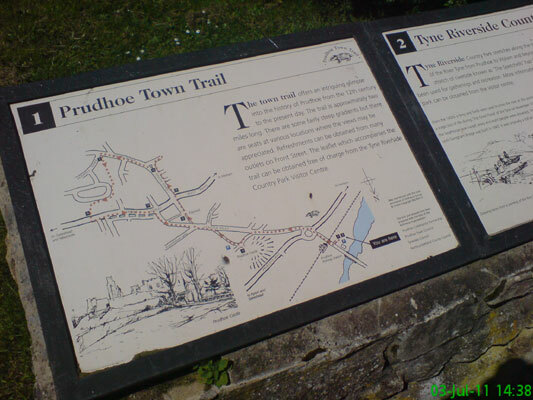 This time to Prudhoe, followed by a walk along to Wylam. 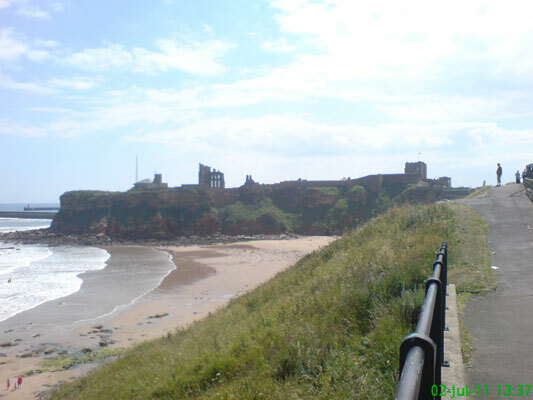 A beautiful day in Tynemouth. 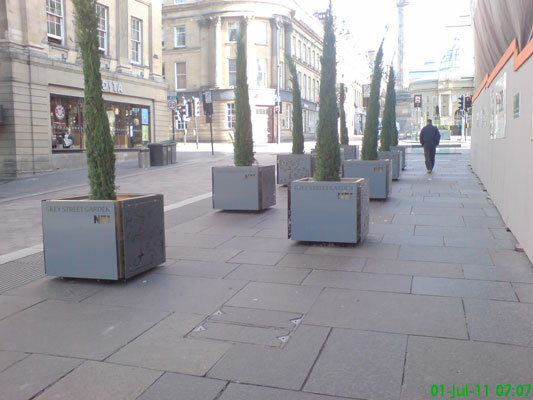 Admittedly I'm not really into gardens, but I don't really see why these daft bush things are required on Grey Street.